"The best thing about this hotel is the staff." Have a question for Diplomat Hotel? "Affordable and very accessible whenever i go from known places in cebu like ayala, IT PARK COLON and etc." "Easy access to food establishments.in the heart of the city"
Ideal for business and leisure trips, this 3-star hotel is 40 minutes away from Mactan Cebu International Airport. 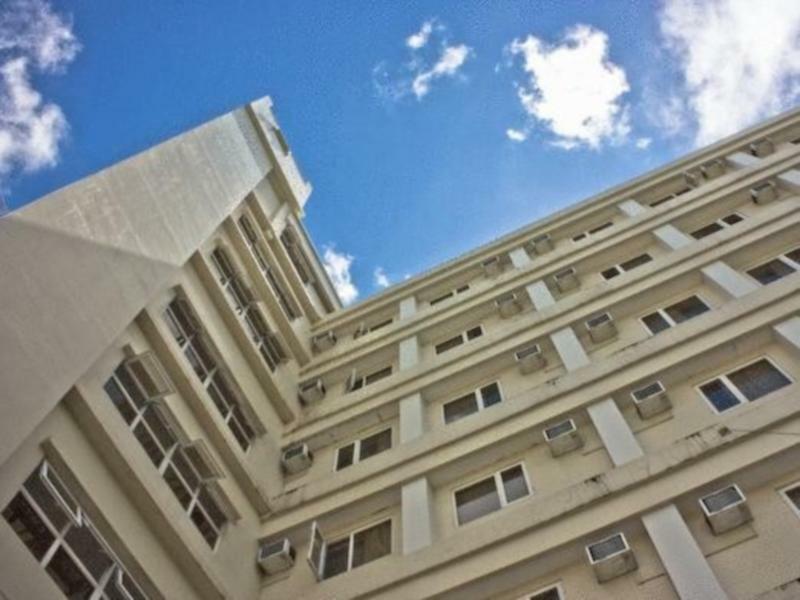 Diplomat Hotel is located on F. Ramos Street, one of the most popular quarters in Cebu with tourist attractions and shopping malls such as Fuente Osmenya Park, Magellan's Cross, Plaza Indepedencia, Ayala Shopping Mall, SM Shopping Mall, and Mango Square Mall. Well equipped, clean, and spacious, the 100 guestrooms offer budget rates. The hotel’s function rooms can accommodate up to 300 people, and the on-site spa provides various massage and body treatments. "The staff were very accommodating and true to their words." If you are the high maintenance type and have an overly high opinion of your self importance, then try somewhere else where you will be noticed by the other like minded superficial types. The Diplomat satisfies the basic needs, comfort and practicality to the modest traveller. Treat the staff with respect and you will find they are very pleasant, polite and helpful in any aspect of your stay. The Hotel is close to many outside amenities, stores, eateries and city interests. The best thing about this hotel is the staff. They are always friendly, always cheerful and always helpful. As for the rooms, they are very comparable to other hotels in that price range. They have all of the basics but don't expect anything fancy. One amenity they offer that most others don't is a security box in the room. As for the location, just get onto Google maps and judge for yourself before booking. I like it but others might not. It's all a matter of preference. Pros: 1. They have a very accomodating ang corteous staff. 2. The location is quite ok since its near on some tourist spots 3. You get the value for your money. Cons: 1. There were bed bugs in our bed. 2. The room is quite darl esp. they used yellow bulbs instead of led fluorescent bulbs. 3. Quite far from the airport 4. Food at the Lobby Cafe quite pricey and not that appetizing (taste not that good). 5. Don't even have a bidet shower if you pee or poop. Every morning you must go to the front desk to ask for the new password. You will not get it on the phone so you must get fully dressed and go down stairs and sign for the password. Very stupid, I have been to five continents and this is the only one with such a policy. The room i had was very clean quiet and had a refrigerator they sometimes change the password for the wifi 2 times a day each time you have to go to the front desk and sign in to get a new password the ladies behind the front counter can speak some english but understand very little. They have a posted rate for a room in the lobby that they wont honor. Yes I would stay here again. The location is good. Getting a ride will not be a problem. The property is old and outdated. In the room where we stayed the refrigerator is not working and the sink in the toilet is clogged. The front office staff does not know how to say hello and good morning. Thumbs up to the housekeeping staff, they keep the room as neat as possible despite the condition of the property. Towels and linens looks old and need to be replaced. Does what it says on the tin - medium range hotel in good area, close by facilities, slightly overpriced for the level of comfort but can't fault the staff or the cleanliness. This hotel is located in a central location near restaurants, malls, bars, transportation. I highly recommend this to anyone heading to Cebu City. They have an on location restaurant and everything you need is within walking distance from it. Taxis are readily available 24 hours a day. One of the good surprise in Cebu, this hotel is a really hotel like in europe, good service ( but they forgot to tell you, you have to give 1000 pesos deposit before you get your room ), good location ( 5 min walk to robinson mall and lots of restaurants around ), everyday cleaning ( its not clean like in europe but for Philippine clean ), really good wifi. I really recommande the Diplomat Hotel. I enjoyed my stay here and to be honest was pleasantly surprised. The hotel went way past my expectations from the price point. I found the hotel to be a bit dated but in excellent condition. The room was a large size with a good size bathroom. The bed was large and very comfortable. Also the wifi and cable made the stay comfortable. Just a short distance from mango square this place is a real bargain. Great location First room booked was unreovated and construction during day so we asked staff if upgraded room was available they were happy to upgrade us for a small fee. Second room renovated and very very nice. Very spacious too. Staff were always friendly and very helpful. Would definately stay there again.!! A would recommend this hotel to all travellers out there. Only the internet bit slow and sometime cannot be accessed from the room. I hv to stay in the corridoor to surf internet. Superfriendly staff they have. I always used to stay in this hotel when i came to cebu city. just 5 min away from manggo square. you can hit night club, live bar and massage shops also. people in the lobby is always kind and nice. specially joan in lobby and jinu who is security guy. i surely can say this is the good hotel with price. i was a little worried when i first saw the hotel. the outside looked like something out of the old european eastern block from the early 90's....scarey. once we got into the hotel my opinion quickly changed. the inside is well maintained and the staff was very friendly. check in was a breeze. i showed them my agoda printout and i was in my room laying down. this hotel is very close to malls and shopping areas. there are numerous atms available within a 5 minute walk, but not all machines will take visa. there is a 24 hour coffee shop called bo's that is a 7 minute walk from the hotel.. it is excellent. i did not try any food at the restaurant. Very accommodating staff at the front desk. the hotel is located a distance away from the city's activity centers (ie malls, parks, etc.). this is both an advantage and a disadvantage for travelers. those who want some good night's sleep will appreciate the location of the hotel but for those who want to explore what cebu has to offer, may find the location as a restriction. for me, i prefer to have a good night sleep when i stay in hotels, the amenities at the diplomat were therefore just a fit for what i look for in hotels. Great Value Meals and clean rooms. a good central location in the main city centre of cebu. 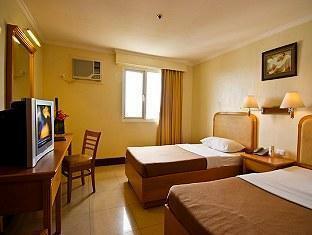 good sized, clean, airconditioned rooms with free wi-fi. the meals are excellent value for money. a good selection of meals on the menu. drinks in the restaurant were also exceptional value for money. the rooms were a reasonable size with plenty of hot water. the hotel is quiet and private. the staff were all very friendly. i won't hesitate to stay at the diplomat on my next visit to cebu.